If California were a bank, what sort of bank would it be? Banc of California has a new and intriguing answer to that question: In just six years, “California’s bank,” as it calls itself, has emerged as one of America’s fastest-growing banks—from $700 million in assets when it recapitalized the old First PacTrust Bancorp. in 2010 to nearly $10 billion and approximately 100 locations statewide today. Since the end of 2014, it’s been the best performing bank stock in the country. And it has grown while pursuing a banking strategy even Bernie Sanders might love: serving the state’s diverse array of small and mid-sized businesses. More than 100 banks have branches in California, and many of them are mid-sized or small community banks that seek to serve some of the same customers as Banc of California. But Banc of California’s focus on defining itself by its Californianess is unmatched—and noteworthy for any enterprise, especially a bank in a globalized era when consolidation across borders is all the rage in the financial industry. For virtually the state’s entire history, most Californians have been transplants from somewhere else, and thus were seen as having little fealty to state-centered institutions. But Banc of California has billed itself as “California Strong” and “the bank for those seeking, supporting, and living the California dream.” It has touted California icons among its customers (from Wolfgang Puck to Vin Scully), supported all manner of California community organizations, and built partnerships with USC, San Diego State, Pepperdine, and the Los Angeles Unified School District “Partnership” schools associated with former Mayor Antonio Villaraigosa, who is an advisor to the bank. 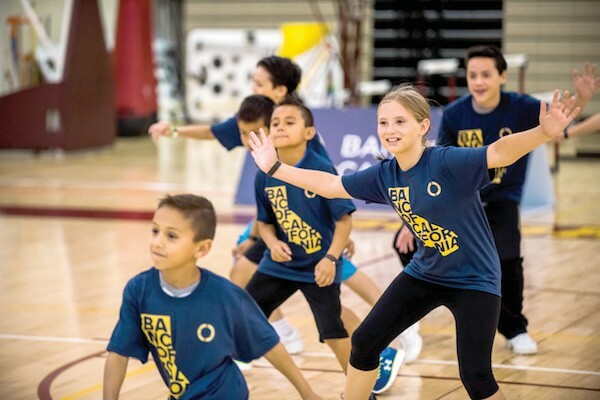 In so doing, Banc of California is betting that a grounded-in-the-Golden-State enterprise can prosper in this new and different California era, when, for the first time, the majority of Californians are now born and raised in California. “What’s good for California is good for the Banc of California,” the bank’s chairman and CEO Steven Sugarman told me recently at the bank’s headquarters in Irvine, which are soon relocating to Santa Ana. Sugarman, 41, is himself a member of the homegrown California majority—he grew up in Fullerton, where his mother has been on the school board for 20 years. Banc of California is making an argument that California’s economy is so varied and peculiar that it needs banks with deep local knowledge to serve it effectively. While bigger corporations dominate many American urban economies, California’s business base is “very democratic,” in Sugarman’s words, with businesses and properties owned by individuals and families. And since so many Californians are entrepreneurs and work for themselves, even some of the richest and most credit-worthy people don’t qualify for traditional mortgages or other loans. Some people choose bigger banks because they offer more branches, technological tools, services and less (perceived) risk than community banks. But Sugarman argues that California’s economy and population are so large—and produce so many small businesses and retail customers—that a bank can focus on local communities and still grow large enough to provide the heft and services of a big bank. Sugarman says the bank’s data analytics also suggest that California businesses—particularly those owned by Latinos and women—are far stronger and more credit-worthy than many lenders have recognized. 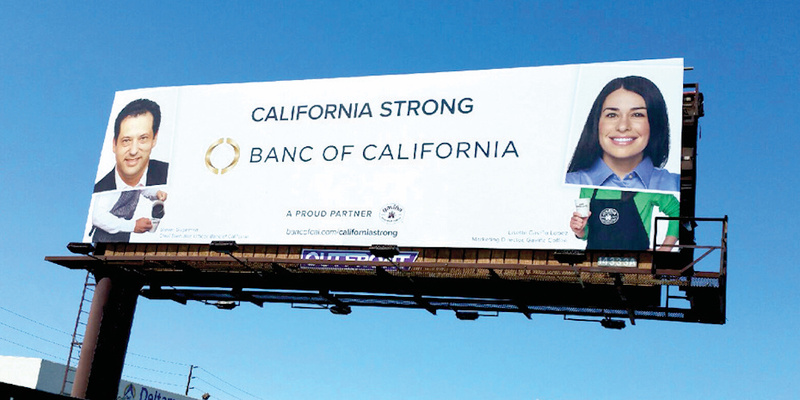 To better reach those customers, Banc of California in 2014 acquired Banco Popular’s 20 Southern California branches (including $1.1 billion in deposits). In this context, California is not just a state but a business model; to attract these businesses, Banc of California needs to show it’s committed to communities. This is one reason why the bank has prioritized its Community Reinvestment Act lending—to community development projects like affordable housing—and trumpets its “outstanding” rating in such lending at every opportunity. Such a strategy has its critics; many banks consider CRA lending an unprofitable chore. And in a conservative commercial banking world fond of a proverb holding that “anything that grows fast is a weed,” Banc of California’s rapid success can be seen as suspicious, perhaps predicated on ill-advised pricing or excessively risky lending. Sugarman says the bank invests heavily in risk management and in hiring people who really understand the state’s markets. The rapid growth is in part a function of launching a bank in the wake of a massive recession that left an enormous void in lending and liquidity. Southern California, where Banc of California is strongest, lost about $32 billion in small business lending in the recession as California-based banks failed. More recently, Union Bank’s move of its headquarters to New York and recent sales of California banks—City National to the Royal Bank of Canada, and OneWest Bank to CIT Group—have given Banc of California openings to pick up business. In the aftermath of a tumultuous recession, there’s a renewed need for small business lending. The question is: will this California model stay stable? While Wells Fargo is still based here, California’s claim to be a global banking hub has eroded over the years, as cities like Richmond, Virginia and Charlotte, North Carolina became improbable centers of a consolidating financial world. One of two iconic national banks born in California more than a century ago—Bank of America—moved its global headquarters from San Francisco to Charlotte nearly 20 years ago. Sugarman is eager to uphold the state’s tradition as a financial center, one whose banking industry helps develop our broader economy; in our conversation, he expressed admiration for the 19th-century Southern California banker Isaias Hellman, who supported the state’s oil and transportation booms, and was a founding father of USC. Sugarman makes a strong case for a sort of California patriotism in matters of banking. After all, when Californians bank with national or multinational banks, their deposits are loaned or invested outside California. Banc of California is busy pointing this out to governments and nonprofits across the state that are still banking with multinational banks less focused on our own communities. The bank also wants to continue expanding in Northern and Central California, and to partner with California-based online lenders and technological innovators. Will this California model endure? A bank tied to a state as volatile as California can expect a bumpy ride in the long term. But the Banc of California is, for now, making a compelling case that it pays to bank on California. *Photos courtesy of Banc of California.